We are now taking reservations for our 2019 full season stays! 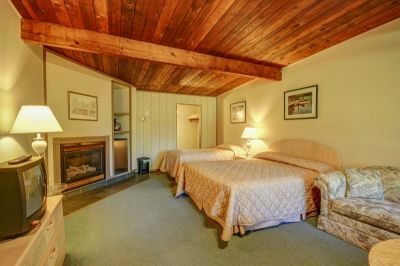 Enjoy the stress-free resort lifestyle for the 2019 season at the Delawana Resort in Honey Harbour, Georgian Bay, Muskoka, Ontario. Our full season will be offered from May 17th, 2019 to October 14th, 2019. This is not a timeshare; the unit is fully yours for the season. We have our full season rates available, and we are ready to start taking our full season bookings. These rates are applicable until November 1st, 2018, so book now! We are more than happy to give tours of our units this fall until October 8th, 2018 (end of the 2018 season). Our new Beeches Suites are amazing and include a kitchenette and great waterfront views. Our Ashes Rooms are now open and have the option for a kitchenette for the 2019 season for only $1000 more. Interested in trying it out? Apply your fall season stay to your 2019 full season booking! Try out any Rooms, Cottages, or Suites this fall season and apply that rate to your full season 2019 reservation. Come stay as many times as you'd like before October 8th, 2018. Rates starting at only $3650 + HST for the full season. These low rates are only available until November 1st, 2018. Visit our Seasonal Rates page to find out more!